51 Reasons Our Dealers Love Tyent USA! Some water ionizer companies will have you believe that their ionization machines can help you lead a healthier life and save you money in the long run. As one of the undisputed leaders in the water ionization industry, Tyent USA wanted to put these competitors to the test, so customers like you can make the best decision for your family and your health. 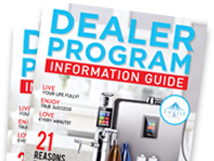 This article will introduce you to some of the key components in the Kangen SD-501 and the K8 as well as our very own ACE-11 and UCE-11 Turbo water machines, so you can discover the differences between Kangen Water® and Tyent water. Keep reading to learn more. Electrolysis Plate Surface Area 385 inches 385 inches 245 inches 280 inches Having a large electrolysis plate surface area is VITAL for producing therapeutic levels of alkalinity and hydrogen during ionization. The more surface area, the better the results! Flow Control Automatic Automatic Manual Manual Kangen Water® ionizer machines feature manual flow control, so you must adjust the water at your faucet every time you want to drink a glass of hydrogen-rich water. 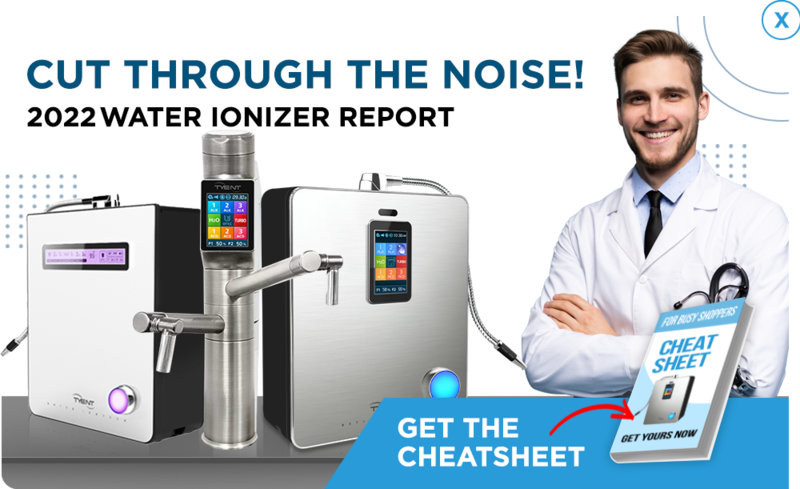 Unlike Enagic® water ionizers, Tyent water ionizers automatically calibrate and are ready to use without any adjustments, so you can enjoy the perfect glass of water every time. Number of Filters 2 2 1 1 Tyent USA's dual filtration system is second to none in the industry. Why settle for a single filter? Why not get top of the line dual filtration? The entire line of Tyent USA water ionizers offer superior dual filtration so you can rest easy knowing that you and your family are drinking clean alkaline ionized water. Plate Technology Solid/Mesh Hybrid Solid/Mesh Hybrid Solid Solid One of the most important components of any water ionizer is the plates used to ionize your unique source water. Kangen Water® ionizers feature solid plates. The Enagic® SD-501 features seven titanium electrode plates, and the K8 model features only eight solid plates. Although they are known for their strength and integrity, solid plates are criticized because electrolysis occurs on the perimeter of the plate. Tyent’s engineers devised a unique solution to combine the superior ionization of mesh plates with the durability of solid plates. Our above and under-counter ionizers feature 11 solid/mesh hybrid plates, which increase the amount of surface area available for electrolysis. Adjustable for hard water? Yes, it’s fully adjustable with 99 presets Yes, it’s fully adjustable with 99 presets No No This feature is extremely important. If you try to use a machine that is not adjustable and customizable for your type of water, then you may find yourself with hard water issues, and even if you don’t have hard water, it is a known fact that water ionizers will react differently based on your water type. Enagic (Kangen) does not have the ability to adjust for your water type. Tyent USA water ionizers Include 99 adjustable power setting so you will get the right levels every time. Power Type SMPS Plus® SMPS Plus® Transformer Transformer Most consumer appliances are built with either a linear or a switch mode power supply. Linear power supply is a familiar technology based on a simple electronic circuit tied to a large and heavy transformer. Due to its simplicity, linear power supply does not allow for voltage adjustability. Both the Kangen 8 and SD-501 machines use linear power supply with heavy transformers, causing them to be inefficient and prone to overheating. Tyent’s innovative SMPS Plus® provides 55 adjustable power settings, so you can pour the perfect glass of alkaline water based on your unique source water. Self Cleaning? Yes Yes Yes Yes Self cleaning is a must, and with both units, cleaning cartridges are available for advanced cleaning if needed. Warranty Lifetime warranty on parts and labor with no fine print and zero stipulations Lifetime warranty on parts and labor with no fine print and zero stipulations 5 Years 5 Years Warranties are essential to getting the most out of your water machine. Both the Kangen 8 water ionizer and the SD-501 model are backed by five-year warranties. Tyent is one of the only water ionizer companies in the industry that proudly offers a lifetime guarantee with no stipulations and zero fine print. You can also take advantage of our 75-day trial period to determine whether our water ionizer is right for you and your family. If you have any questions about this comparison or our water ionizer machines, please contact one of our friendly support representatives for additional information. Certified as a medical device? Yes Yes Yes Yes Both machines are certified medical devices in Korea and Japan. Return Policy and Trial Period 75 Days 75 Days 3 Days 3 Days Let’s face it, is 3 days really long enough to see a difference? It can take 3 days before you even install your unit. Tyent USA keeps it real by offering a realistic 75 day trial. At Tyent, we give you a full 75 days to find out what Tyent Water can do for you. Your satisfaction is guaranteed, so go ahead and drink up the goodness for a full 75 days! During that time you learn first hand what all the excitement is about. Chemical Enhancement? No, all Tyent water ionizers are chemical free No, all Tyent water ionizers are chemical free Yes Yes The power and efficiency of our SMPS Plus®are also what enables us to create strong alkaline and acidic water without the use of chemicals. Unlike our water, Kangen Water® is created with an electrolysis enhancer, which contains sodium chloride and sodium hypochlorite, an ingredient found in bleach. Tyent’s ACE-11 and UCE-11 Turbo water ionizers are completely chemical-free. 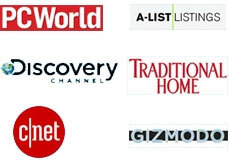 Retail List Price $3,495.00 $3,495.00 $3,980.00 $4,980.00 Save big with Tyent USA! We believe that everyone should have access to alkaline water. Our prices are designed to get a high quality water ionizer in your home without hurting your bank account. Plus, Tyent offers financing with 0% down. Now, it’s easier than ever to get a top of the line Tyent water ionizer in your home today. Available Filter Report Yes Yes No No We have been asking Enagic reps for years to give us a report of what their filters remove. Don’t trust what you cannot see. Ask for a report! With Tyent, you can see Tyent’s water report right here. Number of Contaminants Removed Over 200 Contaminants are removed Over 200 Contaminants are removed Unknown because no report is available Unknown because no report is available You can see how many contaminants our filters remove here. There is no similar report available from Enagic, and with today’s failing water infrastructure in the US, it is more important than ever before to know what your filters remove. Ask to see a report.